Which house do anda prefer? Which is better Sakura Avalon from Cardcaptors Sakura? atau Sakura Haruno from Naruto Shippuden? If anda were a Clow card, which one would anda rather be? Who would make the better couple? Is there going to be a new Cardcaptor Sakura series atau event comeing in 2015 this year? Cause i was on Facebook and they have an event going on for Cardcaptor Sakura 2015. Where online can i get a Cardcaptor Sakura t-shirt for boys? 1.Even though Sakura kept her name, her last name, which was originally Kinomoto, has been changed to Avalon. 2.Syaoran's name has been switched around to become Li Showron instead of Syaoran Li. Seriously? It should have been Showron Li. 3.Meiling Li's name was changed to Meilin Rae, and Tomoyo Daidouji was changed to Madison Taylor. I kind of like Tomoyo's english name. 4.Cerberus (Kero-chan) has been changed to Keroberus. Hello there my Friends out there in this spot. I am here to announce a new, episodic peminat fic series that is based on Cardcaptors and Cardcaptor Sakura. This takes place after the advents of cardcaptor sakura. Puppet 2:I Wuve your sister. It was rainy Satruday night over at Sakura's part of the neighborhood. The rain was pounding hard on the ground. And the thundar was rumbling. It was a wet and scary night. Inside Sakura's house, her, Madison, Melin, Li, and Kasey are all playing a board game. Sakura: Have anda ever played this game before Kasey? Kasey: Yes I have before, but not in a long time. Madison: OK, it's Melin's turn now. Melin: *Giggles* I'm going to beat all of ya'll. We are now back with our story on how Sakura Avalon, the Cardcaptor, meets a new kid on the block in the name of Kasey. But, what would happen if Kasey knew about the Clow cards? Can Kero trust him? And what new danger lies in wait for our heros. The final chapter of this story will answer all of the questions. When Sakura opened the door, Kasey walked inside. He was pretty amazed sejak the size and looks of the house. We return to the story of how Sakura, the Cardcaptor, faces a new ally- Kasey. But, will Kasey admits himself to everyone around Sakura's town? atau will he only tunjuk himself to the Friends of Sakura? This seterusnya part of the story will cover it all. Sakura has finally arrived at her school. From there, she meets her best friend, Madison Taylor. Madison: Good morning Sakura. You're just on time. Sakura: Really? I thought I was going to be late. 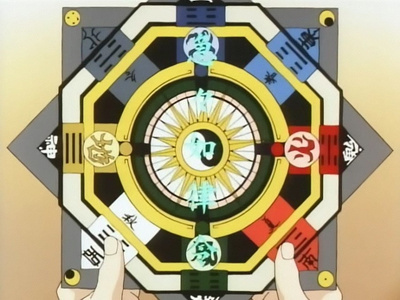 After Sakura Avalon captured all of the Clow Cards, she is now "Master of the Clow". But what would happen if another Cardcaptor atau Gurdian of the cards and the Clow comes to her? This story will cover it all. Our story first begins at the household of Sakura. Inside the house, Sakura is getting ready for school. Sakura- Kero, I'm heading for school now. So don't so anything crazy while I'm gone OK? THE Cinta OF YOUR LIFE. If anda do this, your crush will Ciuman anda on the nearest Friday. a poll telah ditambah: Who's prettier? a comment was made to the poll: Do anda prefer the 1998 atau the 2018 animation? a poll telah ditambah: Do anda prefer the 1998 atau the 2018 animation? The most Coolest Clow card!! !